The Orlando Shootings: Police SWAT Team Involved in the Killings? The first reports of shots came at 2.03am involving a confrontation between Mateen and a security guard at the entrance of the nightclub “An off-duty cop working as a security guard at the club returned fire, prompting Mateen to retreat further into the hotspot and take hostages, officials said.” (New York Post, June 12, 2016). According to police statements, there was, however, no “active shooter situation” at 2am in the morning, requiring an immediate police response. Moreover, there was no firm evidence that killings of hostages had taken place. The Orlando police authorities initiated a process of negotiation with Mateen. When Mateen said that “there would be an imminent loss of life,” Orlando Police Chief John Mina (image right) was prompted “to end a three-hour standoff and ordered the assault that killed Mr. Mateen and freed dozens of people trapped in the club.” (New York Times, June 13, 2016). Shortly after 5am, the police using an armored vehicle burst through the wall of the building. “A furious gunfight with 11 SWAT team members followed, during which Mateen was killed and a cop was saved from death when a shot struck his Kevlar helmet”. (New York Post ,June 12, 2016). The Islamic State (ISIS) allegedly claimed responsibility for the attack in a statement released by its Amaq news agency, saying the onslaught “was carried out by an Islamic State fighter,” (Ibid). Mateen was allegedly involved in an exchange of gunfire with the SWAT team starting at 5.13am, While under attack of the SWAT team, Mateen could not have killed and injured over 100 people in 1-2 minutes; the FBI report confirms that he was killed at 5.15pm. After most of the hostages got out, Mateen emerged from the first hole [in the wall] around 5:14 a.m.
Possible Killings Perpetrated by the SWAT Team? Killing them in order to save them? An upside down diabolical concept. Kill with a view to saving lives? It should however be mentioned that Orlando Police Chief John Mine was not directly in charge of the SWAT operation per se. The latter was under the command of Capt. Mark Canty. 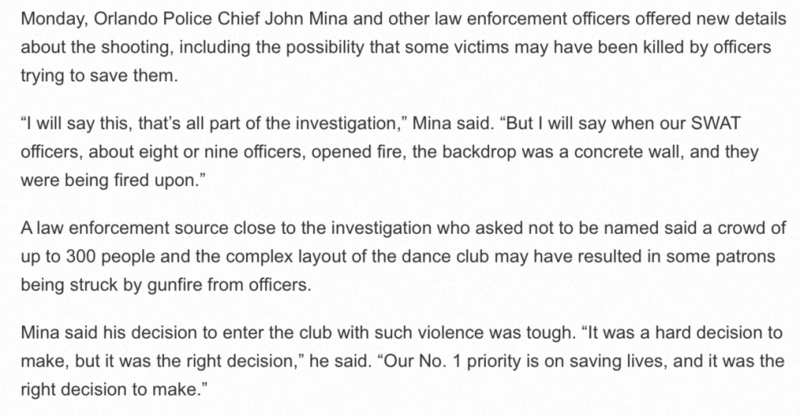 Police Chief John Mina intimated that 8-9 SWAT officers might have killed people in the nightclub by accident (see quote below). … Orlando officers walked into the nightclub and found lifeless club patrons strewn about a bar and lounge area. More bodies were found in a nearby bathroom. Saving People by Killing them? “New Normal”? 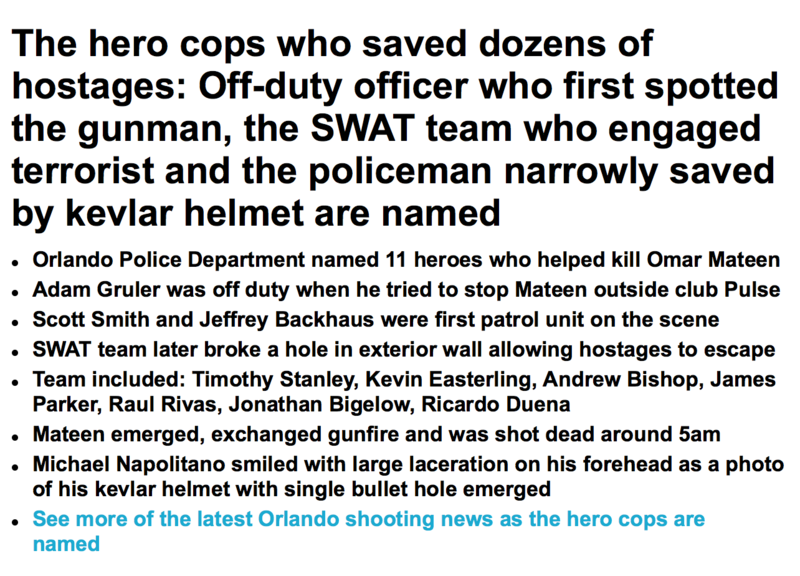 The SWAT police officers were celebrated as HEROES by the mainstream media “for having saved dozens of lives”. No further investigation by the Washington Post was required. Were the Victims shot by Omar Mateen or by the Police SWAT Team? 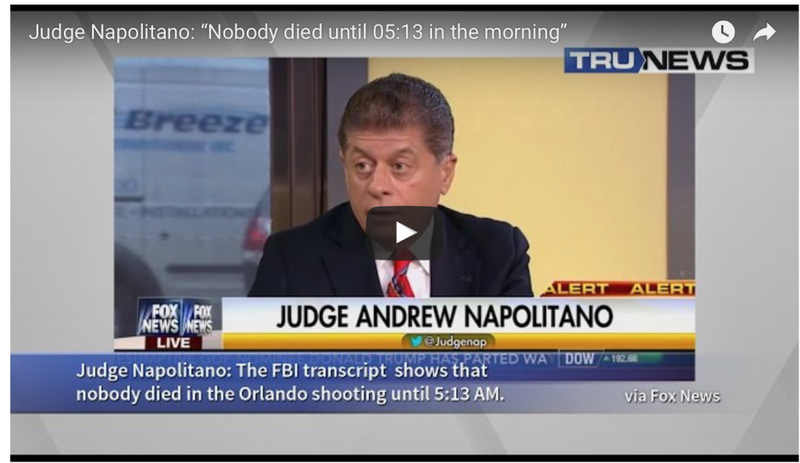 The Orlando Police Department Timeline (see below) (quoted by Judge Napolitano) suggests that no one was killed before 5.13am when the SWAT team stormed the building, it also confirms that the first deadly shots were fired at 5.14am and that the suspect was killed one minute later at 5.15am. Within the scope of 1-2 minutes, Mateen is said to have killed 49 people and injured 53. And this happened while the suspect was been fired at by the SWAT team. Visibly this statement by Chief of Police Mina is convoluted to say the least: it would have been almost impossible for Mateen to have effectively engaged the SWAT officials upon exiting the hole in the wall. (See image). Mateen’s fate was similar to that of the dead (alleged ISIS-Daesh) terror suspects killed rather than arrested by the police in Brussels and Paris terror attacks. The official story is that Mateen killed 49 people and injured 53 on the orders of the Islamic State (ISIS-Daesh). And this allegedly took place –according to the OPD time line– in a lapse of 1-2 minutes before he was shot dead at 5.15am, while leaving the building through a hole in the wall. There were eleven SWAT police officers who stormed the building at 5.13am; the suspect was reported dead at 5.15am. 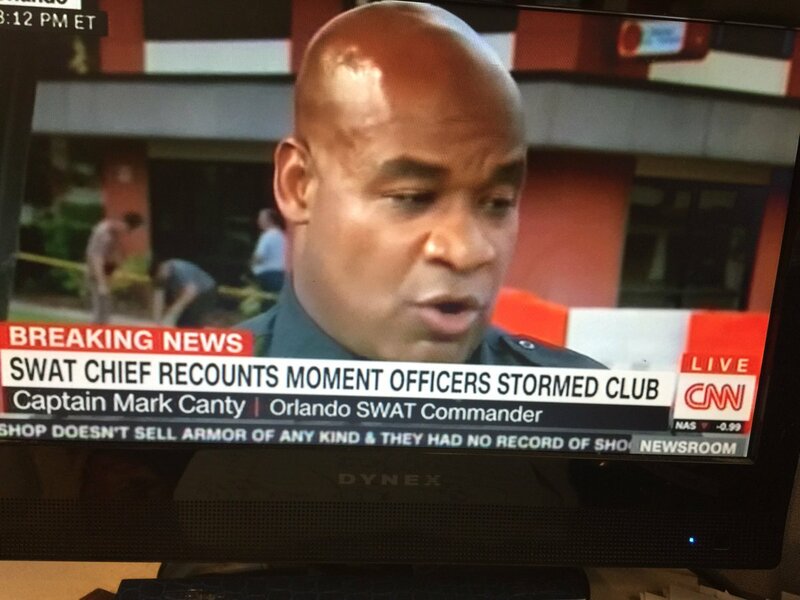 According to the Orlando Police Chief, 8 or 9 out of the 11 SWAT officers accidentally shot at the hostages. 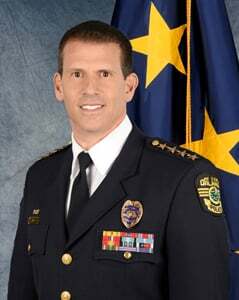 The statement of Orlando Police Chief Mina does not refer to an error of one or two SWAT officers, the entire SWAT team (8 or 9 out of 11) under the helm of SWAT Commander Capt. Canty “accidentally” fired at the nightclub patrons. Law enforcement officials have acknowledged that the CCTV footage from several cameras inside the Pulse nightclub were available and have been viewed and examined. Sofar the CCTV footage of what happened inside the nightclub including the “friendly fire” of the SWAT team, has not been released. Did Mateen have the ability of shooting and killing 49 people and injuring 53 in the course of less than 2 minutes while also exiting the building through a hole in the wall at 5.14am and confronting the SWAT team in cross-fire. Is this corroborated by the CCCTV footage? The autopsy reports as well as the ballistic reports have not been released. It is worth noting that Mateen allegedly used the Sig Sauer MCX .223-caliber rifle with a magazine capacity of 30 rounds. He also had in his possession a Glock 17 9mm semi-automatic pistol with a standard magazine capacity of 17 rounds. 1. the semi-automatic parameters of the two weapons in his possession would not have allowed Omar Mateen to fire more than one hundred shots within a 1-2 minutes without magazine reloading. Note the time line: 5.13am-5.15am. 5.15am: Mateen is recorded dead. 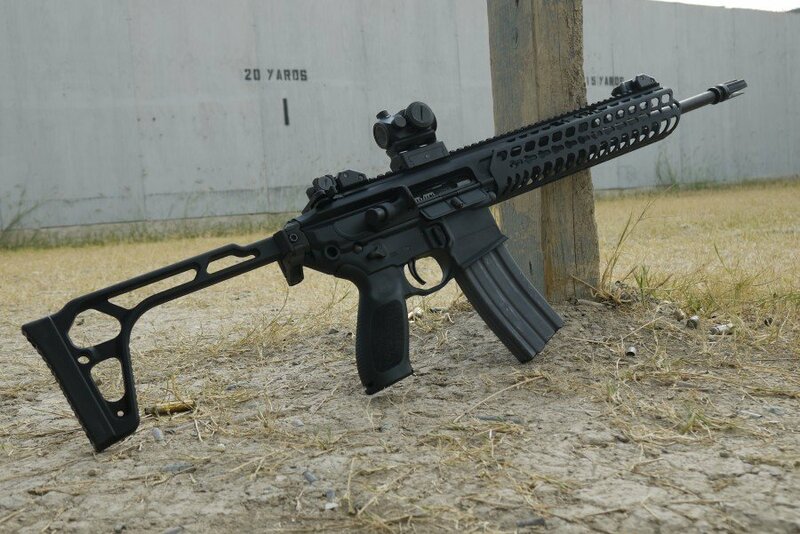 See the video below which indicates the semi-automatic nature of the Sig Sauer MCX. The USA Today’s couched statement tacitly recognizes that the SWAT officers might have been responsible for the some of the deaths inside the Pulse nightclub. But that truth has to be suppressed. It is not worthy of detailed investigation. 2. Both the SIG Sauer as well as the Glock 17 9mm firearms used by Mateen were also used by the police SWAT teams, which suggests that the ballistics for gunshot casualties in the Orlando nightclub (by Mateen and the SWAT team) would be hard to distinguish. Bear in mind, irrespective of the number of magazine loads Mateen had in his possession, he would not have been able to kill and/or injure more than one hundred people in a time span of less than 2 minutes. What is at stake is a coverup of what happened inside the nightclub which is casually acknowledged and at the same time denied by the mainstream media. The unspoken truth is dismissed, the facts are twisted. What we are dealing with is an orchestrated coverup. The Forbidden Truth has to be suppressed. The Obama Administration, the FBI, the Media have casually dismissed the possibility of police involvement in the killings despite the statements emanating from police sources. Theater of the absurd: The official story is that the killings were ordered by the Islamic State (ISIS, ISIL, Daesh) based in Raqqa, Northern Syria, which happens to be supported and financed by two of America’s staunchest allies, Turkey and Saudi Arabia in close liaison with Washington. The CCTV camera footage which is available to law enforcement officials will, most probably, not be made public.